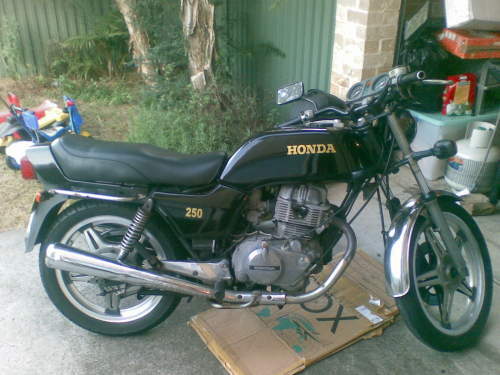 This Used HONDA CB250N motorbike for sale looks good. starts first time everytime, runs well but needs service. reliable old bike. had this for 15 months and never had a problem with it. I have only put 200kms on it as I only use it for travelling to get to the train station approximately 2kms and I don�t use it everyday.